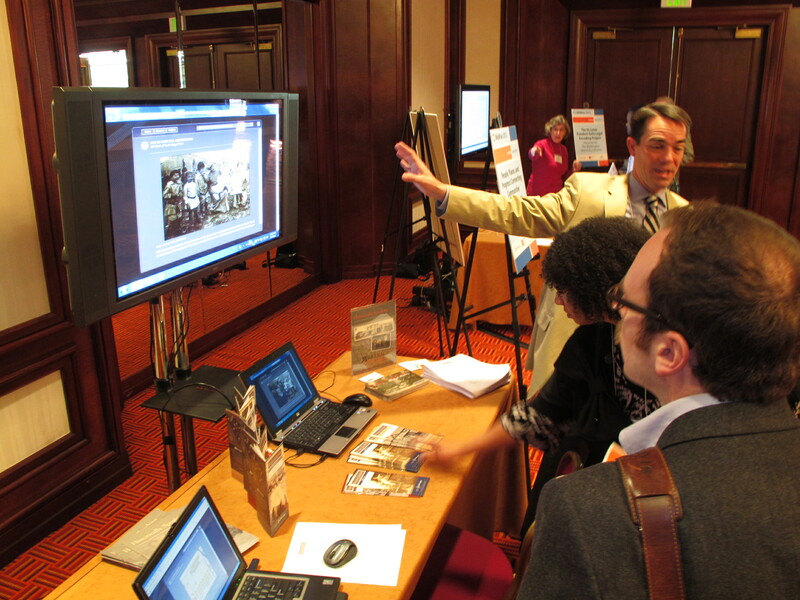 WebWise, the annual conference hosted by the Institute of Museum and Library Services, will be held in Baltimore on March 6-8, 2013. This year’s conference is co-sponsored by the Roy Rosensweig Center for History and the New Media and is being organized and presented in a very different manner. In advance, participants (anyone, actually) voted on the proposed workshop topics and then the conference organizers recruit speakers to fill the slots. For the project demonstrations, the participants will be divided into three groups and then rotate through three different sets of presentations. In addition, there will be a series of three-minute lightning talks over lunch, facilitated project/partnership incubator groups, and one-on-one speed consulting sessions. Indeed, there’s only one plenary session scheduled for the entire conference–Audrey Watters of Hack Education–as a keynote on the last day. I’ve attended as many WebWise Conferences as possible because the content has been outstanding and I often come away with new approaches and strategies, even from the sessions that are far outside my field. This year’s reformatting seems intriguing, but much of the content remains a mystery so I’ve held off on registering. IMLS has announced nine project demonstrations by the name of the speaker and institution, but no mention of a topic or title. For history organizations, Suzi Gran of the Minnesota Historical Society will be of interest, but I’m not sure what the Missouri Botanical Garden, Howard County Library, or Children’s Museum of Houston will be discussing. Voting on the workshop topics closed a couple weeks ago, but so far only one has been announced (designing prize competitions). I’ll keep monitoring their website and update this post with anything significant. In the meantime, if you want to participate (registration is $50), go to imlswebwise.org. This entry was posted in Collections, Historic preservation, Historical interpretation, Social media, Technology, Training and tagged Institute of Museum and Library Services, Maryland, WebWise on February 13, 2013 by Max van Balgooy. On February 15, IMLS announced, “There will be eleven possible pre-conference workshops offered over the course of the day on Wednesday, March 6th. Workshops will range from 90 minute to 3 hour sessions with 4 to 5 possible workshops running concurrently.” Topics include “Maker Spaces in Museums and Libraries,” “Creating Interfaces to Digital Collections,” and “Engaging Visitors with Social Media”. More details at http://blog.imls.gov/?p=2870.